Make-A-Wish BC is dedicated to granting the wishes of children 3-17 years old who have a life-threatening medical condition. Click here to read about a wish come true for a B.C. horseback rider. Make-A-Wish BC & Yukon is proud to be an affiliate of Make-A-Wish International To learn more about the global organization, visit www.worldwish.org. 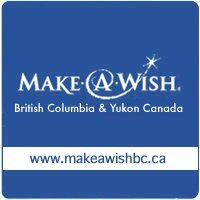 Since our inception in BC in 1983, we have made over 1,600 wishes come true.